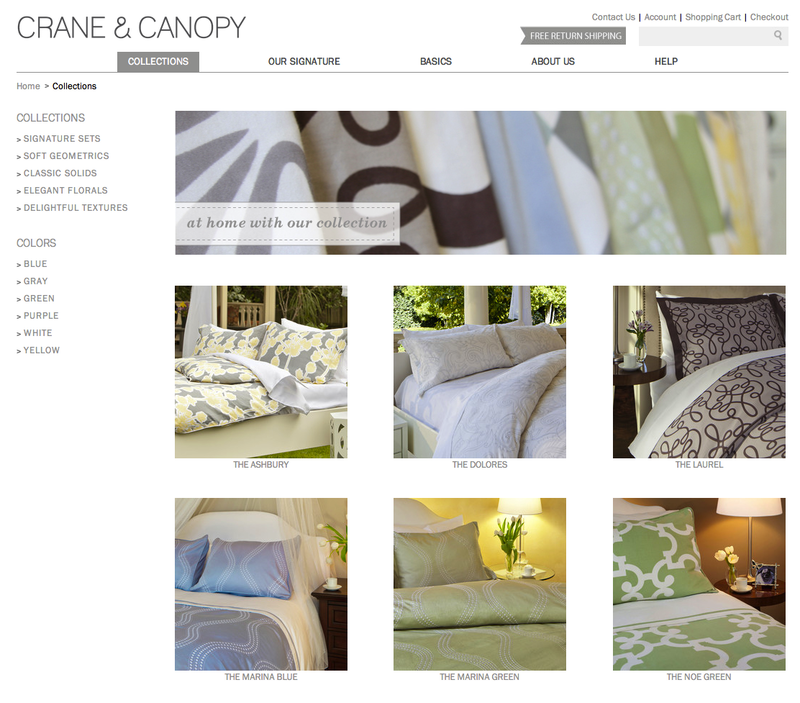 Crane & Canopy is a newly launched online home goods store that’s benefiting from the power of the Internet to flatten the traditional supply chain and save on costs. Like many of the new arrivals in the e-commerce space, the company isn’t hiding the same old business model from the brick-and-mortar era behind a shiny new front-end. It’s getting rid of all the extra people and processes in the typical supply chain scenario by handling everything in-house, including design, CAD work, importing and exporting, prep work, and sales. And if that doesn’t get you excited (what, are you dead inside? ), then how about this: Crane & Canopy has some really, really cute duvet covers and shams for super cheap. The company was founded in mid-2011 by Harvard Business School graduates Christopher Sun and Karin Shieh, the former having done time in Silicon Valley as an associate at Storm Ventures. Currently run out of a warehouse in San Carlos, California, Crane & Canopy works directly with overseas factories in Asia, and maybe soon, Portugal, too. But the difference between an entrepreneur and regular folks, is that everyday frustrations like this prompt them to act. Shieh was inspired to start researching the supply chain the home goods industry, to see if there was some way to break through the traditional paradigm with new ways of doing things. And there were. “We found out that there were actually a bunch of externalities in the whole supply chain. So the concept of this is that we cut out the middleman,” she says. The team decided to start off with bedding after some initial industry surveys identified it as a big pain point in terms of pricing, and because it makes sense to attack the home goods industry slowly, vertical by vertical. “The thing that’s really tricky for us – and that’s really tricky in the home goods space, and honestly, it’s why a lot of the big players are slow to innovate and think about their supply chain,” says Sun, “is that, in the home goods space, each individual product type has its own supply chain challenges.” But Crane & Canopy does want to eventually expand into other areas of home goods to offer things like headboards, footboards, side tables, accessories, and more. For now, the online selection is limited to just 10 products in its first collection, including one patent-pending duvet cover which is easier to stuff. (Hey, I need that.) The target demographic is women, but Crane & Canopy will expand both in terms of size and scope in the near future. You might, at first, be taken aback by the thread count on the duvets (a 300 thread count), but the team says the public just needs to be better educated about what this means. 300 is actually a “sweet spot” for durability and softness, they say, and you’re not getting a significantly better cover when you go higher. Still, it’s clear that’s another way to keep costs down while they ramp up production.